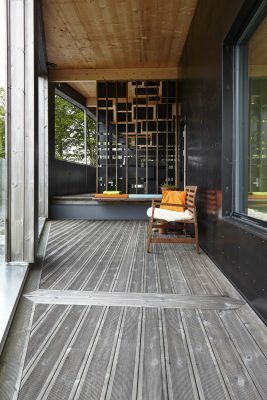 Kebony wood has been used throughout Villa Sval in a number of different applications including; cladding, decking, window frames and exterior doors. 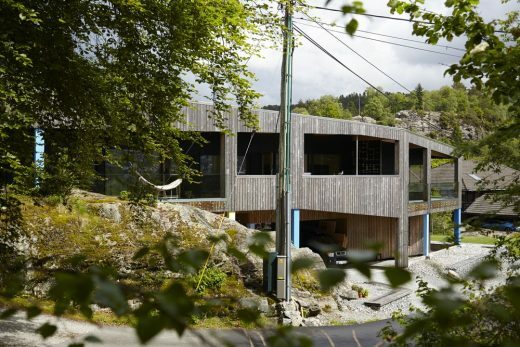 Offering exceptional views of the surrounding landscape, Frønsdal’s inspiring yet simplistic design has gone on to receive widespread television coverage across Norway, Sweden and Denmark. Historically, strict fire regulations have limited the construction of wooden buildings in densely populated areas. 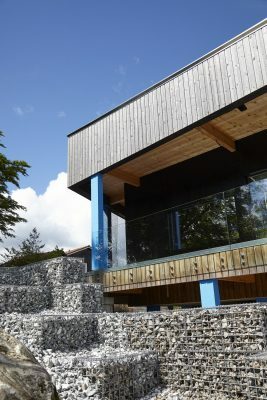 As a result, materials such as concrete and steel have become increasingly common within the industry. 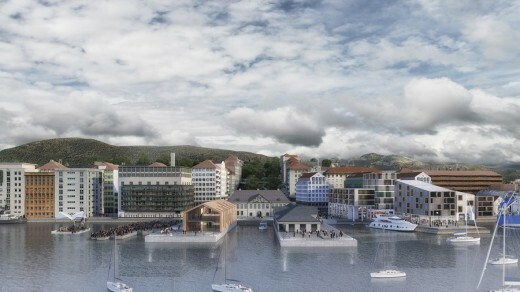 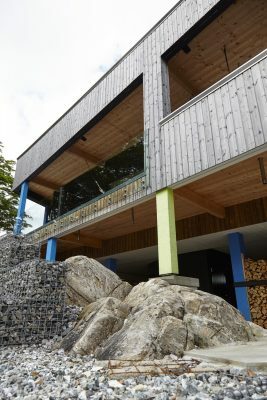 However, significant advancements in construction techniques have opened the door for an extensive use of wood in both construction and façades. 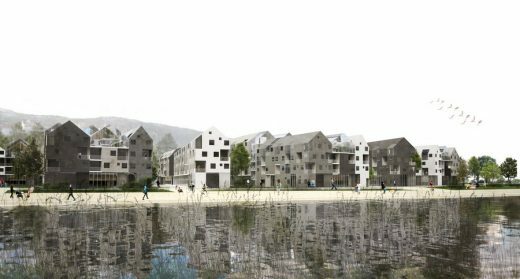 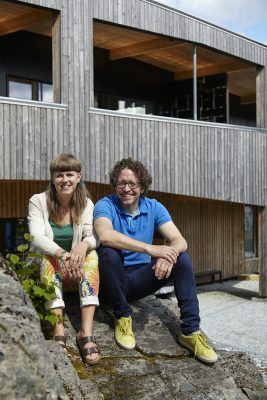 The Architect, Henning Kongshavn Frønsdal, holds a firm belief that wood is central to the future of architecture; thus when designing his own home, he ensured the natural material was an integral component of the build, comprising 200 tonnes of wood in total. 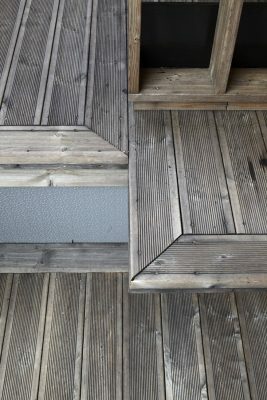 Carefully designed without any waste, all wood offcuts have been skilfully incorporated into either the interior or exterior of the villa. 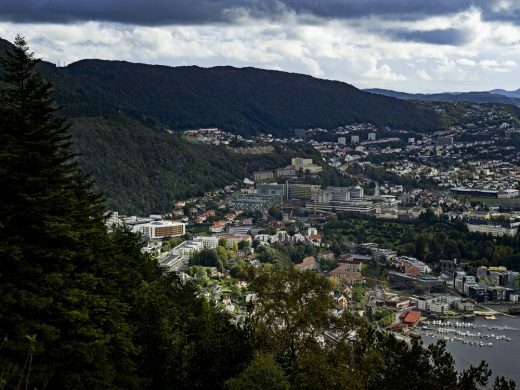 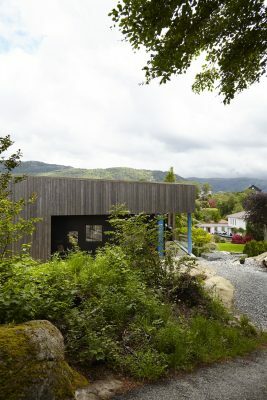 Upon choosing the exterior timber for Villa Sval, it was important that the wood had the ability to withstand the unpredictable nature of the Norwegian climate. 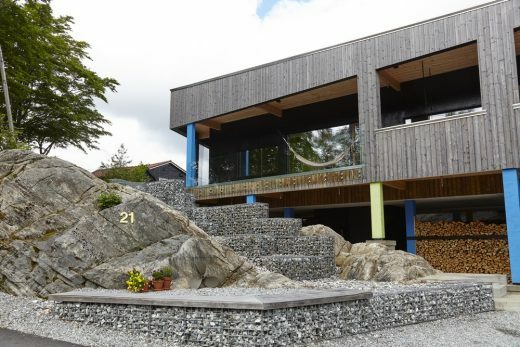 Kebony is proven to keep up well even in extreme climates and subsequently a fitting choice for this property. 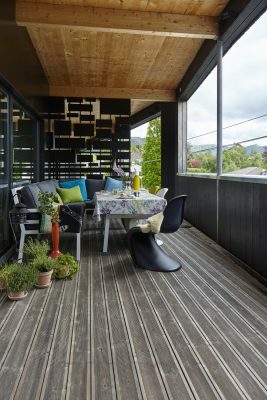 Despite being a natural material, the wood requires no maintenance beyond normal cleaning, meaning that you do not need to regularly paint or impregnate it. 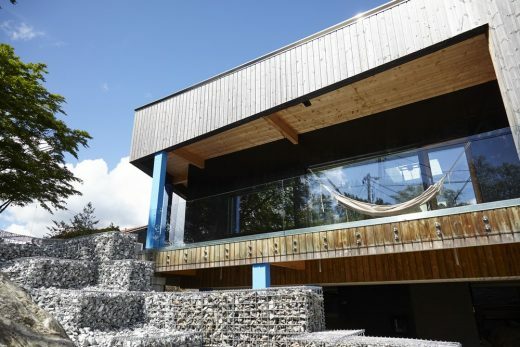 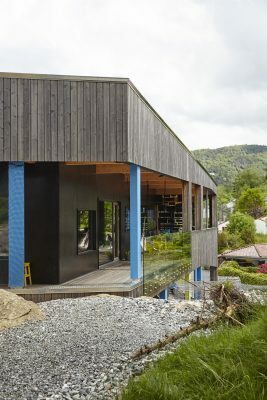 Over time, the wood cladding has adopted a silver-grey patina due to sun and rain, enabling the villa to blend seamlessly into the surrounding natural landscape. 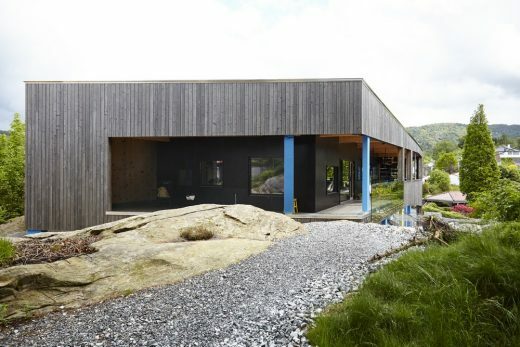 The striking appearance of Villa Sval was achieved through the installation of 9,000 metres of Kebony wood, used predominantly for the cladding of Frønsdal’s family home. 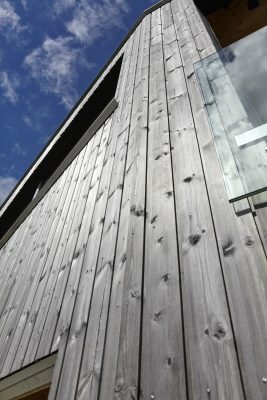 Developed in Norway, the patented Kebony technology uses an environmentally friendly process which permanently enhances the properties of sustainable softwood with a bio-based liquid derived from agricultural crop waste. 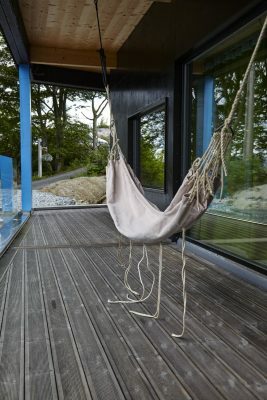 With the addition of heat, Kebony wood permanently takes on the attributes of tropical hardwood including high durability, hardness and dimensional stability. 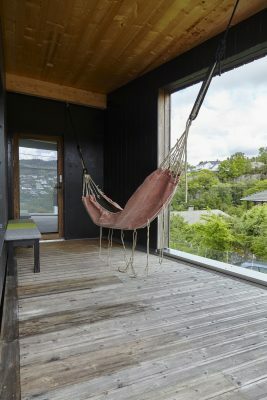 Kebony Character was chosen for Villa Sval, underlining the classical Scandinavian style with natural knots and – as the name suggests – character.